This army of menacing green-eyed skulls is ready to take on whatever foe dares to approach. 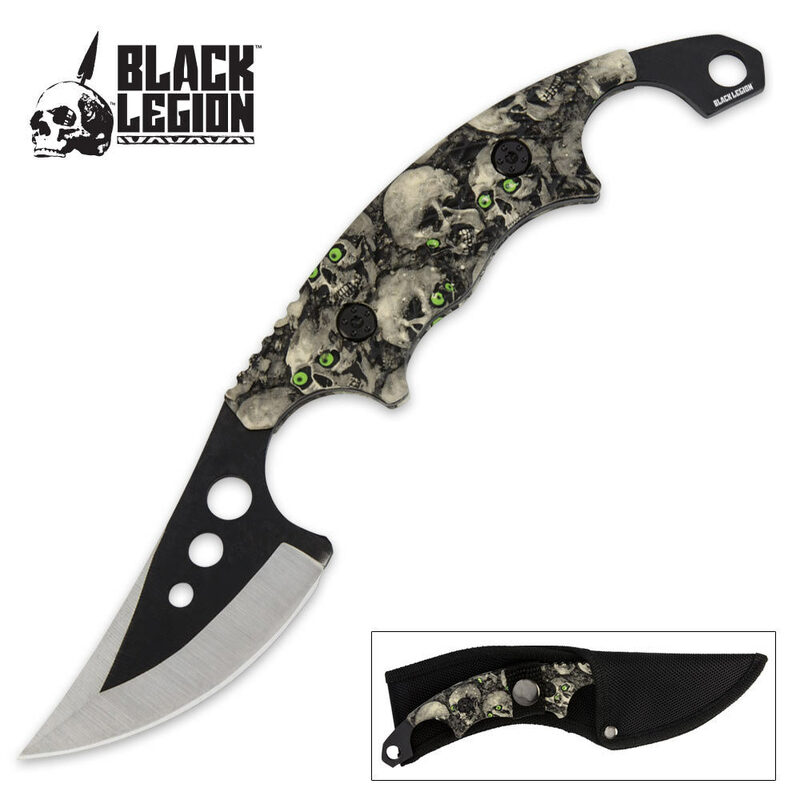 The unique design of this fixed-blade knife incorporates a harpoon-esque look and feel with a karambit-esque shape, giving you a multifunctional, custom-designed knife with an abundance of fierce potential and applications. The stainless steel blade has a heat-treated, two-tone finish with a sharp, curved edge that’s stellar for slicing, jabbing and stabbing. 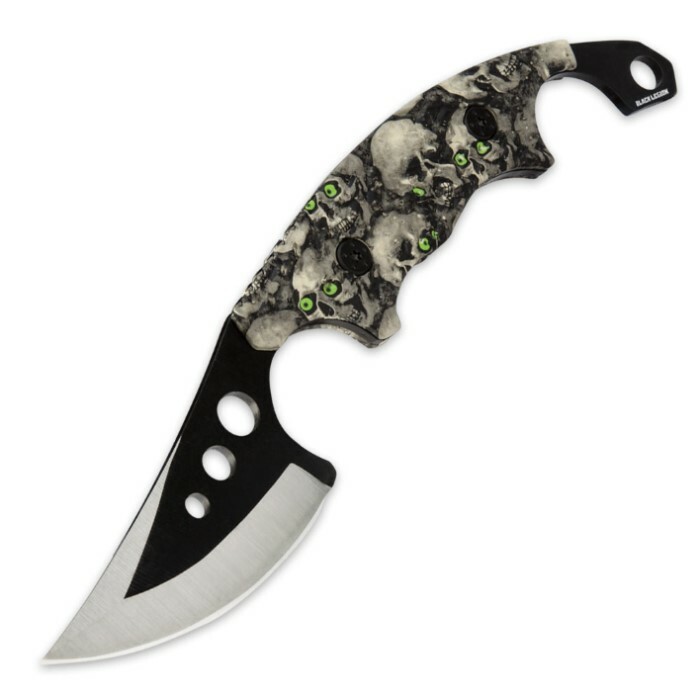 The contoured handle is shaped like that of a karambit, allowing you to maneuver this blade like a real-life ninja. It’s a practical size at 8 in. 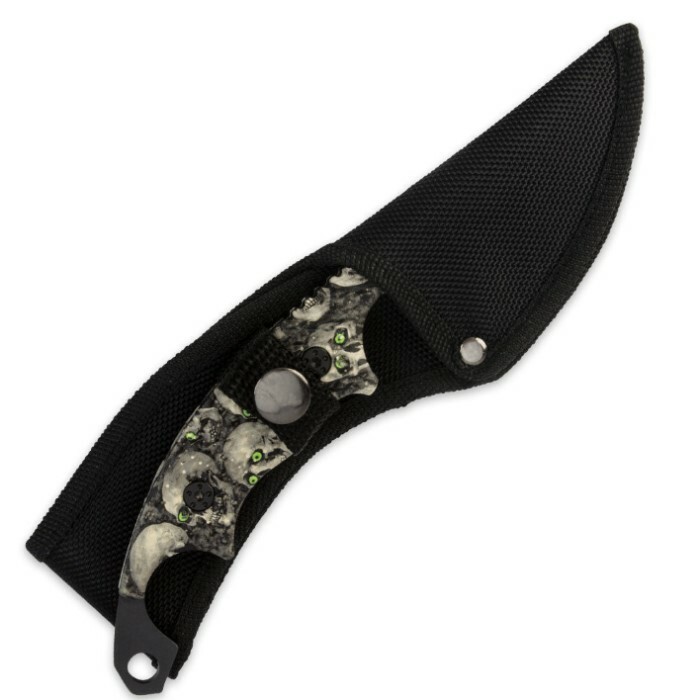 overall, and it includes a nylon blade sheath.